Seeking the peace of the City! When people think of Mennonites, images of bonnets, buggies, and plain clothes often come to mind. Something like the family below in the horse-drawn wagon. But there are actually more Mennonites in just four African nations (Democratic Republic of Congo, Ethiopia, Tanzania, and Zimbabwe) than the there are in the whole of North America. So, in actuality, the average Mennonite actually looks more like these women from the Brethren in Christ Church in Zimbabwe (below). The Mennonite Church is a worldwide movement, and at Manhattan Mennonite Fellowship we seek to embrace, celebrate and embody that rich diversity. We believe in the lordship and saving grace of Jesus Christ. We yearn to grow more like Christ. We believe in the triune God — Father, Son and Holy Spirit. At Manhattan Mennonite, we understand that God reveals the God-self, at times, through gender, but often God transcends gender. Thus, we aim to use inclusive language – and understand that God is as much Mother as Father. Mennonites value the sense of family and community that comes with a shared vision of following Jesus Christ, accountability to one another and the ability to agree and disagree in love. All are welcome to join us as together we follow Jesus and pursue Christ’s purpose in the world. Our vision is one of healing and hope. God calls us to be followers of Jesus Christ and by the power of the Holy Spirit, to grow as communities of grace, joy and peace, so that God’s healing and hope flow through us to the world. The Anabaptist movement began in the 16th Century in Europe. In Europe during the 16th century, our faith ancestors broke away from the state religion’s practice of baptizing infants. As they looked to the scriptures for guidance, they believed that only adults could make a decision to follow Jesus Christ and be baptized voluntarily. So they “rebaptized” as adults those whom the Church had already baptized as infants. During the Middle Ages, one’s baptism into a church was akin to one’s allegiance to the state. When the Anabaptists confessed believer’s baptism as the true way to express one’s allegiance to the Kingdom of God, proponents of the Holy Roman Empire as well as Protestant church-states throughout Europe deemed them subversive because they renounced their earthly citizenship, and refused to participate in wartime activities or pay military taxes as they chose to follow the way of non-violence. These proponents ordered Anabaptists to be beheaded, burned at the stake, and driven from their homes in an effort to crush their movement. Today, rather than baptize our infants, many families participate in a service of dedication of their children to God. The parents ask their congregation to help them train their child in the way of Jesus Christ. Our hope is that our children will choose to follow Jesus Christ and be baptized, but we leave that decision to them as they mature into adulthood. While we called ourselves “Anabaptists” in the 1500s, others nicknamed us the “Mennonites” after one of our early leaders, Menno Simons, a Catholic priest who aligned himself with the Anabaptists in 1536. The nickname stuck. And after 500 years, we’re still known as the Mennonites. There are books devoted to Menno Simons and his contributions to our faith, as well as many writings by him. 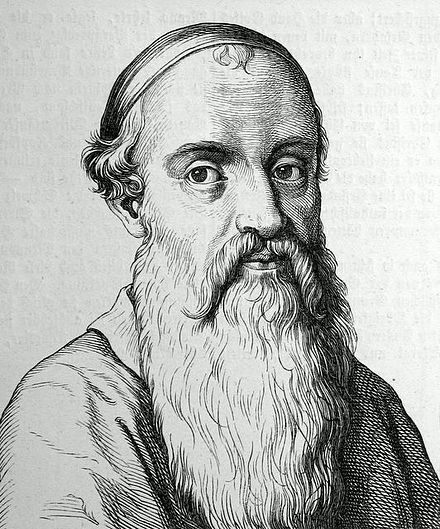 In every publication written by Menno Simons, he included a verse from 1 Corinthians 3:11: “For no person can lay a foundation other than the one which is laid, which is Jesus Christ.” To Menno Simons, this verse summed up the whole Anabaptist movement: There is no source or authority for the Christian Church other than Jesus Christ. The centrality of Jesus Christ and our formation as followers of Christ remains the number one priority of Mennonite Church USA today.